Something to Sing About: A Global Choir of Cancer Survivors! This cancer support centre, Mayo Cancer Support, Castlebar”, is participating in Something to Sing About: A Global Choir of Cancer Survivors! Something To Sing About is a not-for-profit organisation which aims to support cancer patients by bringing them together to sing songs and perform. It was founded in 2012 and has quickly spread throughout the provinces of Ireland and beyond. It has proved to be a great success and has won several national awards, and continues to grow. The choir now has more than 250 members of all ages, in about 20 sub-groups spread across the country, and even has one international centre, STSA:Brisbane. New centres are planned in Northern Ireland, UK and North America. People of all ages, and levels of singing expertise are welcome to come along to the weekly rehearsals for fun and may wish to take part in public performances. Please contact this centre for more information regarding the STSA group here. 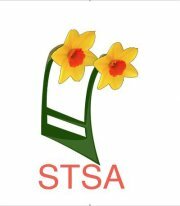 For further information on Something To Sing About, visit www.stsa.ie and follow the links to Facebook and Twitter, or write to STSA Office, Galway University Hospital, Galway, Ireland. Founder & Chairman of STSA.